Permissions are often called the keys to a company’s network kingdom, and there’s a good reason. 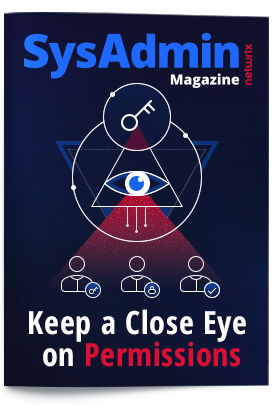 In the February edition of SysAdmin Magazine, you’ll discover the shocking truth about the danger of over-privileged users. With this knowledge, you can right-size permissions in your environment to mitigate the risks of privilege abuse and data exposure.